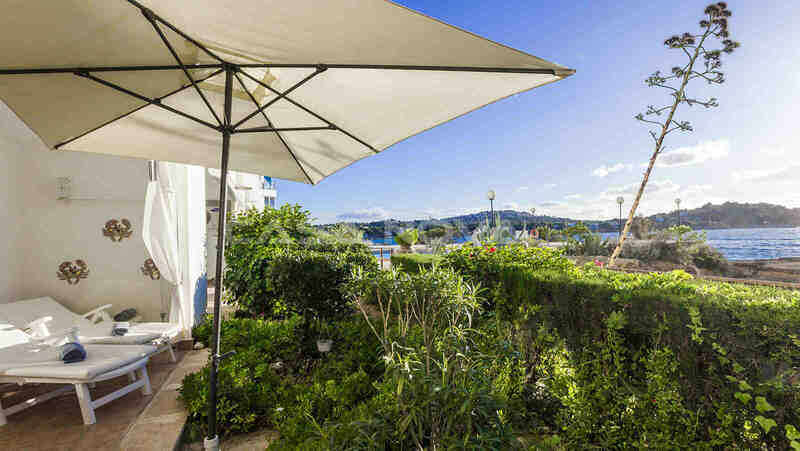 Ground floor apartment Mallorca: This sea view apartment lies in 1st sea line and has direct sea access to a small bath bay in Santa Ponsa, in the southwest of Mallorca in the municipality of Calviá. 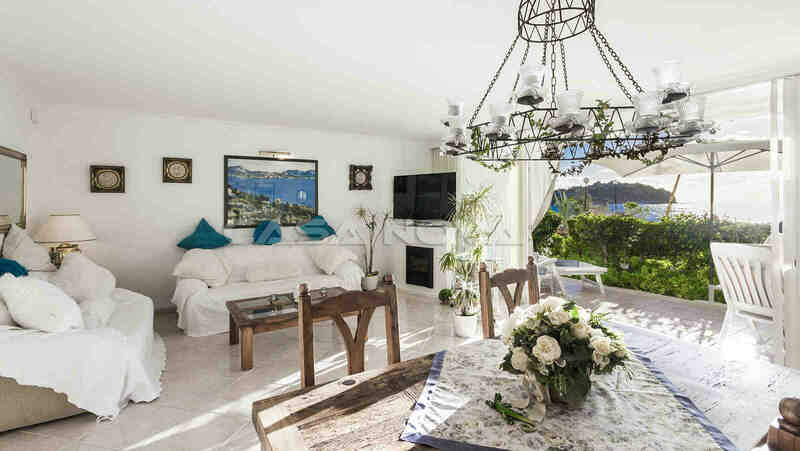 The ground floor property Mallorca was renovated and finished recently. It has a living space of approx. 88 m2. 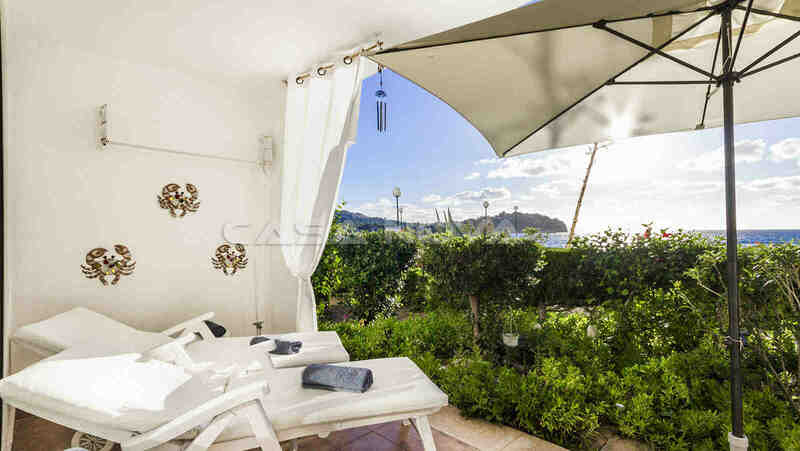 It divides itself as following: a generous living area and eating area with has access to the roofed terrace of approx. 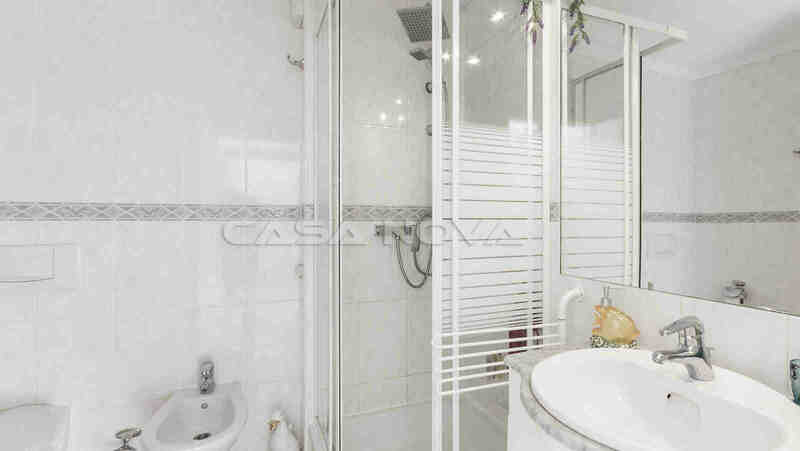 20 m2, 2 bedrooms and 1 bathroom. 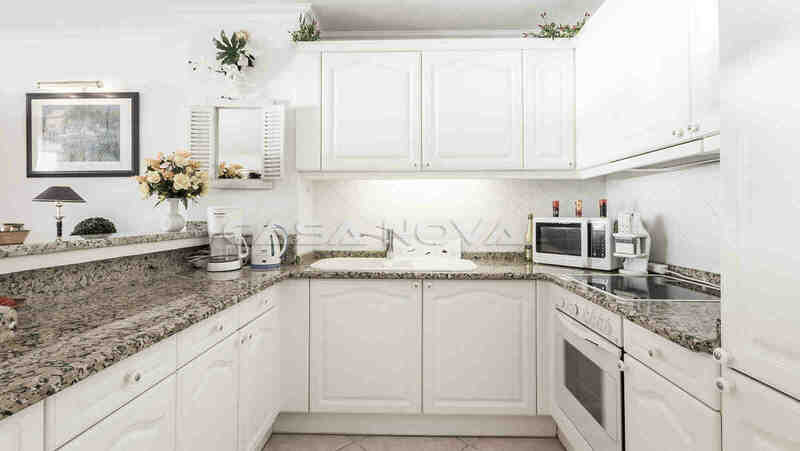 An open, modern fitted kitchen with German brand electro domestics is also included. The real estate was modernized and reformed with love to the detail. An integrated air-conditioning creates a nice climate throughout the whole year. 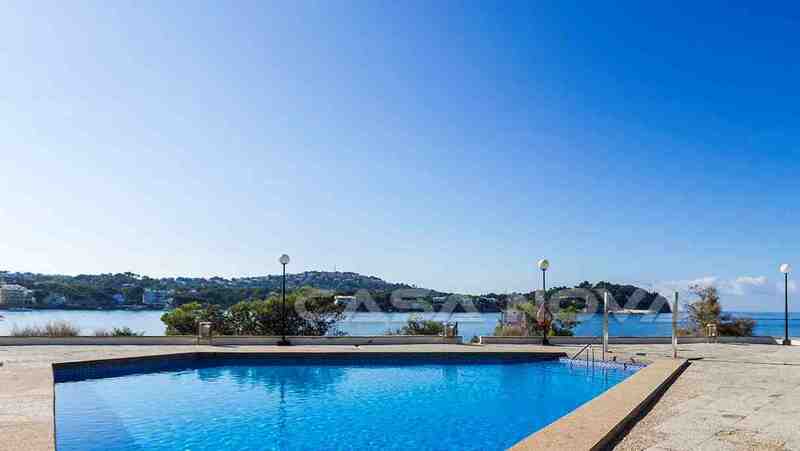 The ground floor apartment is ready to move in and the furniture is included in the price. 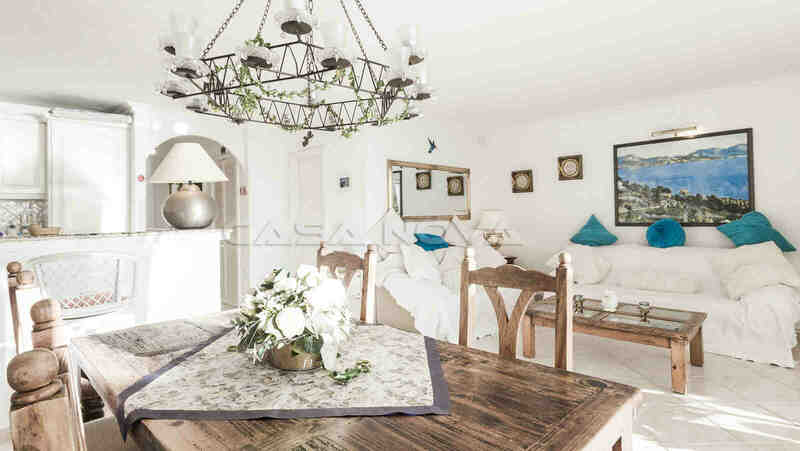 Other characteristics of this Mallorca Property are: double glazed PVC windows, cream colores floor tiles, electrical- heating and chimney. 2 passenger cars parking lots on the communal area belong to the apartment too. 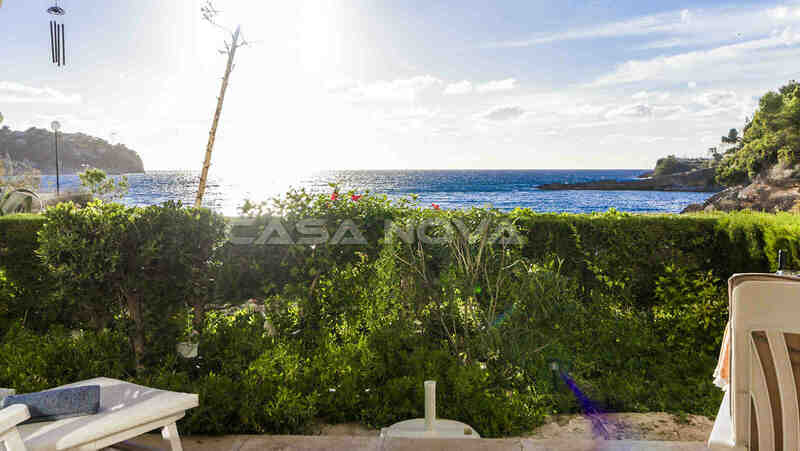 From the apartment you have direct access to the communal garden with communal pool and to a small bath bay. 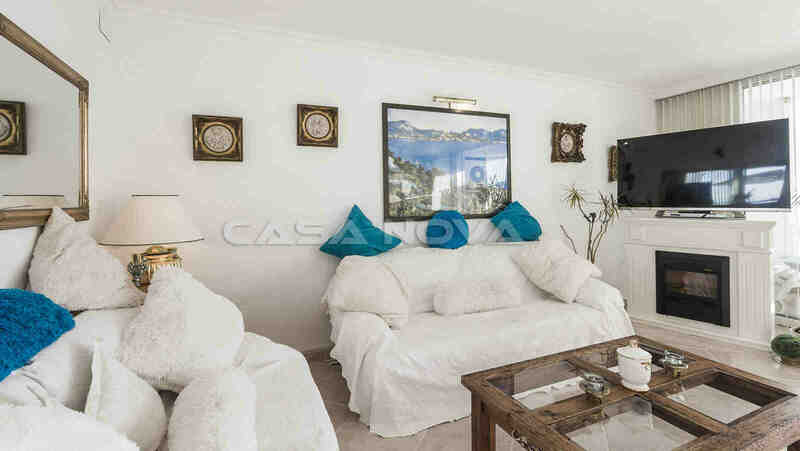 This Mallorca ground floor apartment has a very high lifestyle factor. 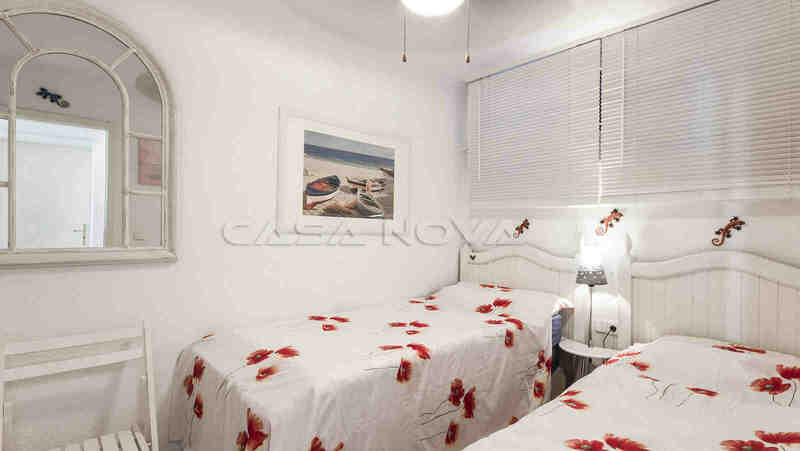 It is located in walking distance from bars, restaurants and shopping possibilities, as well as the big sandy beach. A Beach club is close to the building by the sea. 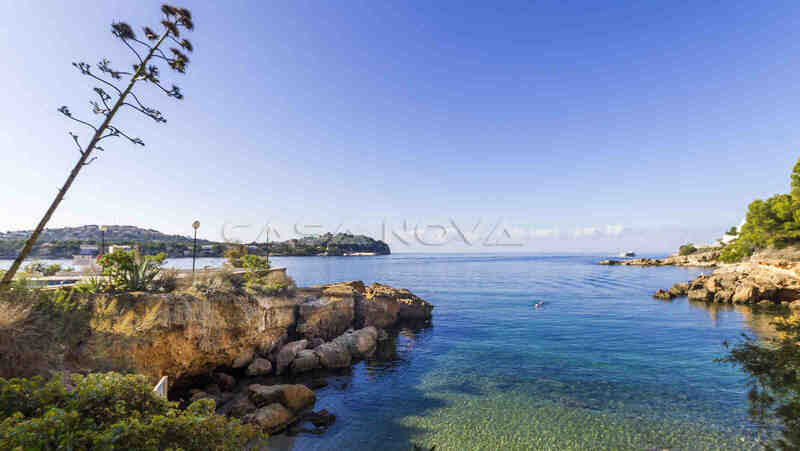 Santa Ponsa in the municipality of Calvia is very popular for tourists and also as a long-term living opportunity. The infrastructure will fulfill all your wishes. 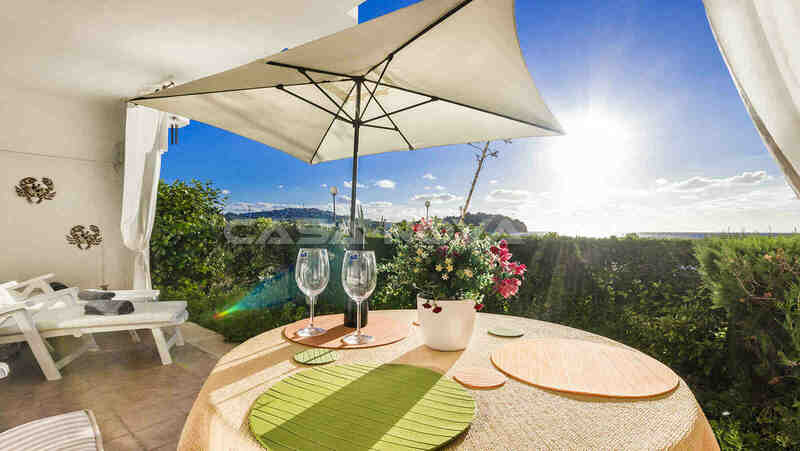 The capital of Palma de Mallorca is accessible in 20 minutes and also the international airport is only 30 minutes away. The Airport connects you all year round with all European metropolises. Mallorca real estate like this nice object is rare. We are available all year around for viewings. 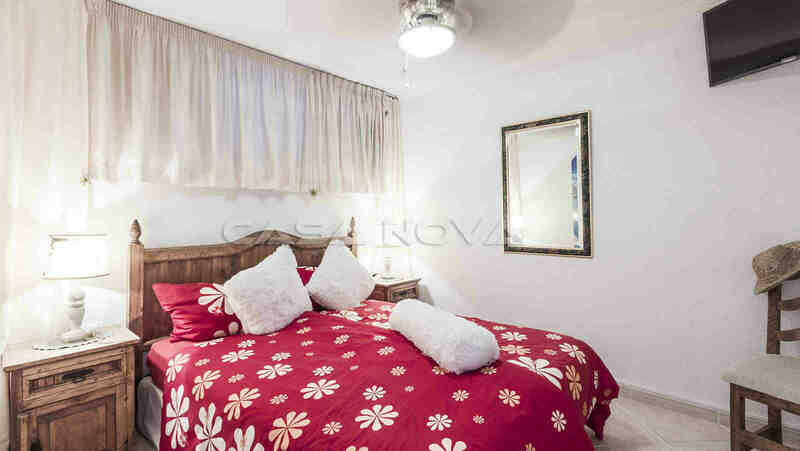 This apartment is offered to you by your competent estate agent Mallorca, Casa Nova Properties in Santa Ponsa. 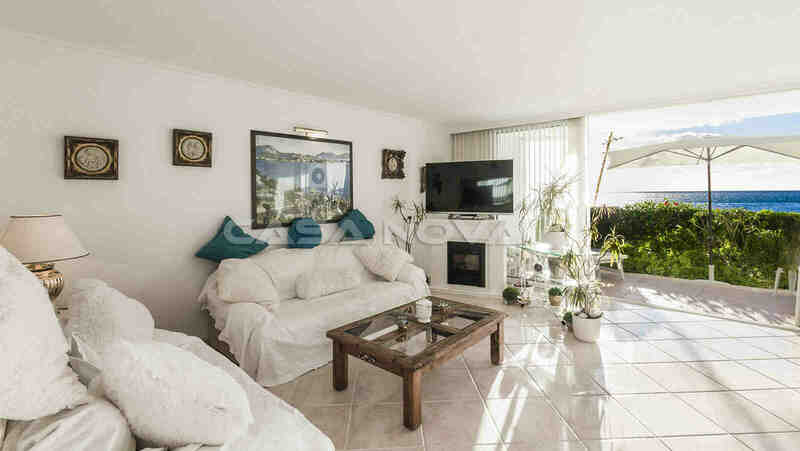 We show you with pleasure our big portfolio of real estate by your wishes and images. For the buyer originates no agency fee.